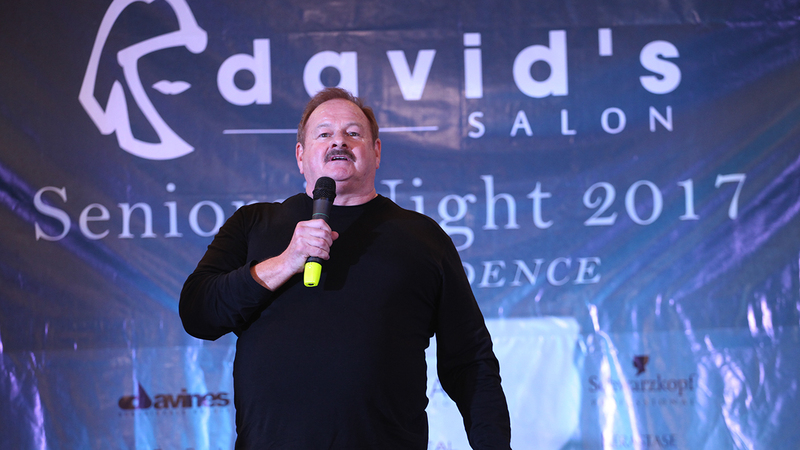 PASAY, Manila – Over 1,000 guests celebrated with David’s Salon Senior Stylists’ Night last January 16 and 18, 2017 at Vikings Venue MOA. Entitled Transcendence, with a gods and goddesses theme, the night was about exceeding expectations, breaking limits, and going beyond the ordinary. Hosted by Miss International 2013 Bea Rose Santiago, stand up commedan Inday Garutay, cosplayer and TV/Radio host Marybeth Nave, the evenings were a showcase of beauty, skill, and dedication in what is the biggest celebration of year for David’s Salon. The highlights of the night were Loyalty Awarding, Special Sales Awards, Mr. David’s Message for 2017, and the David’s Salon x Affinage Hair Trends. Stylists and staff who have been with the company for 10, 15, 20, 25, 30, and 35 years were given a tribute, with plaques and tokens of appreciation. Stylists who excelled in sales were also given a spotlight, for their contribution to the company in 2016. Mr. David captured the audience’s attention with his moving and powerful Message for 2017, which focused on The 5Rs – Reliability, Responsibility, Respect, Reputation, Reward. Last but not the least, the audience were given a look at the hottest cuts, colors, and styles for 2017 with the David’s Salon x Affinage Hair Trends. The trends, which anchored on the night’s theme of Transcendence, had models in gods and goddess attire showcasing 9 male and 5 female styles to look forward to this year. David’s Salon Seniors Night wass supported by Affinage Philippines, Davines, Schwarzkopft, L’oreal Professionel, Matrix, Kerastase, Keratherapy, Wella, Glitter Lips, David’s Salon Shampoos and Conditioners, and Orly.